There are many people who consider the first two albums by the dB’s to be just as influential as those revered early Velvet Underground releases. The singing/songwriting backbone of the dB’s was the tandem of Peter Holsapple and Chris Stamey, whose simpatico musical attraction was strong enough to fuel Mavericks, an excellent 1991 album by the duo. Eighteen years later, the longtime friends have released the equally stirring Here And Now. The pair has also begun recording again with the dB’s, including original bassist Gene Holder and drummer Will Rigby. 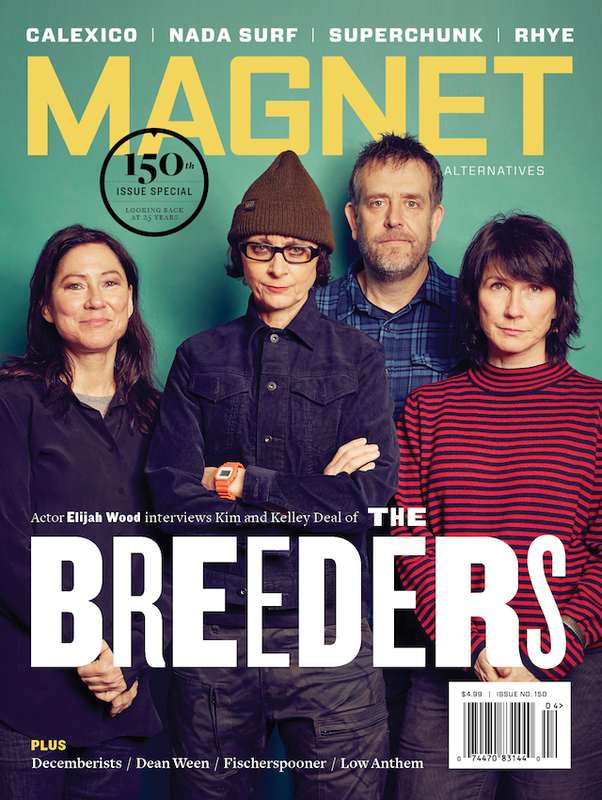 Holsapple and Stamey are guest editing magnetmagazine.com all this week. Read our Q&A with them. Chris: In an interview in Tape Op magazine years ago, our friend Mitch Easter (of the Fidelitorium and Let’s Active fame) stated that one reason he liked recording on tape was that, without the odor of analog, his reptile brain just didn’t get activated. This was both a laugh and a revelation: We’d all grown up with the smell of tape oxide being slowly shredded into the air and could drain many a cup of coffee discussing the way the AGFA brand smelled better than, say, 3M. As computer recording took a firm hold and started to actually sound good as well, the hole in the picture remained that missing stench of the reel-to-reel. To address this, Mitch, fellow producer Don Dixon and I started an email-thread think tank. We decided that dust burning off vacuum tubes was also an essential part of the equation. And we’d all burned out a bit on the Lava Lamp studio embellishment. 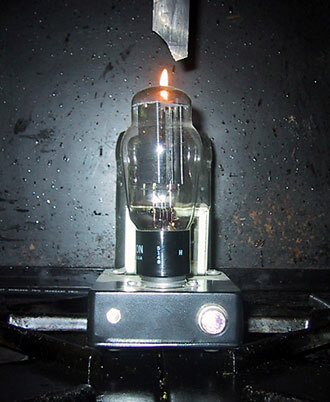 Much verbiage later, we came up with the concept of a vacuum tube that would get hot enough to activate a small incense-burner cup, which would be filled with a shredded master tape: preferably old R.E.M. or Pylon outtakes, in the same way that people would take sheets that Elvis had slept on, in the ’50s, and cut them into tiny squares for sale at a high price. (Note: No R.E.M. tapes were actually injured in the making of this innovation.) The tube would warm the tape enough to trick the nostrils into thinking that we were about to magnetize bits of iron. We christened this the Reptile-Brain Activator™ and took the project to Steve Carr, the mastermind behind the amazing Carr Amplifiers, who figured out an affordable parts list and designed the only prototype. And this is where it has sat, ever since (on a table in my studio). Sadly, we dropped the ball, too busy getting our software updated every other day. Still, the crucial missing link in the recording process remains; we can only hope that, someday, someone out there hoists the baton, smells not only tape but megabucks, finances the Reptile-Brain Activator™ and restores analog stench to the modern studio.